Chief Lucas Clements of the Richland Center Police Department along with Sheriff James J. Bindl of the Richland County Sheriff’s Department report that an investigation conducted by the Richland-Iowa-Grant Drug Task Force has culminated in the arrest of a Richland Center woman for the distribution of heroin. 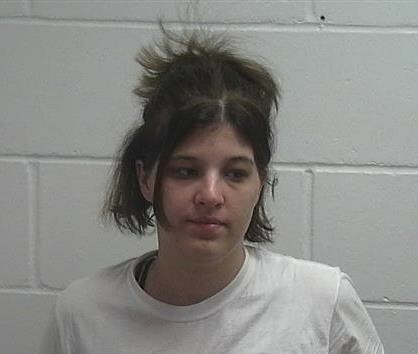 Ashley A. Durst, 29, was arrested for one count of Delivery of Heroin, which occurred in the City of Richland Center. During the investigation Durst also delivered heroin on another occasion, however it occurred in a different jurisdiction. The case has been forwarded to the Richland County District Attorney’s Office for prosecution. The Richland-Iowa-Grant Drug Task Force is a Tri-County combined investigative unit. Locally, members from the Richland Center Police Department and the Richland County Sheriff’s Department are assigned to investigate and combat area drug trafficking and abuse. Chief Clements stated that highly addictive substances, such as Heroin and other narcotics, continues to be a focus of the Drug Task Force as it has been an increasing problem in the area, which has seen an increase in narcotic overdoses, some even resulting in death. Sheriff Bindl noted that narcotic distribution and/or usage has also been shown to be a contributing factor to other crimes against persons and property. Chief Clements and Sheriff Bindl would like to remind citizens to report any suspicious activity by notifying law enforcement. Callers who wish to remain anonymous can call Richland Area Crime Stoppers at 647-2583 and may be eligible for a cash reward.